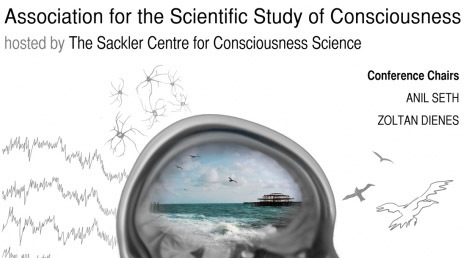 A one-day satellite symposium on ‘Neuropsychiatry and Consciousness: Bringing Consciousness Science to the Clinic’ will take place on July 7th, at the Sussex University campus (see http://www.theassc.org/conferences_assc16). This event requires separate registration. ASSC16 is part what will be a citywide celebration of consciousness science. The headline event will be a free-entry one-day public-event on consciousness science, on June 30th, featuring a wide range of interactive exhibits: http://www.consciousnessexpo.co.uk. Other informal events engaging both academics and the general public will take place throughout the week at various locations in Brighton.ASSC16 will be organized by the Sackler Centre for Consciousness Science at the University of Sussex (www.sussex.ac.uk/sackler). Brighton, affectionately known as ‘London by the sea’ is a popular international conference destination. It is only 49 minutes by train from central London and just 30 minutes from Gatwick International Airport (LGW; there are also easy transport links from Heathrow). Brighton is a small city with conference facilities, hotels, restaurants, pubs, transport links, and the beach all within easy walking distance. ASSC16 will be held in the superb Dome and Corn Exchange theatre complex, in the heart of Brighton’s artistic & cultural quarter (http://www.brightondome.org/). Accommodation details can be found on the the main conference webpages (http://www.theassc.org/conferences_assc16). Victor Lamme (University of Amsterdam, President). You have conscious sensations without knowing it. Josef Perner (University of Salzburg). Infants’ sensitivity to others’ beliefs: Unconscious theory of mind? Geriant Rees (University College London). Decoding consciousness. Tania Singer (Max Planck Institute, Leipzig). Social emotions from the lens of social neuroscience. Tim Bayne (University of Oxford). The unity of consciousness. Christof Koch (Allen Brain Institute, Special Lecture). Studying the murine mind using large-scale observatories. 5. Gustav Kuhn, Ronald Rensink: The science of magic: Turning magic into science! Please direct any enquiries about ASSC16 to D.Schwartzman-at-sussex.ac.uk.